Often called posh sheds, a garden office is actually a high specification building. Normally sited in the back garden away from the distractions of the main house. They create a comfortable, secure and professional workspace suitable for a wide range of occupations. With modern communication systems, you can connect to anywhere in the world from the bottom of your garden. This allows many garden office workers to ditch the daily commute, working from home if not full time, at least several days a week. A garden office is not only suitable for remote office workers, in fact, many small businesses are run from garden office buildings. A garden office has many benefits as the premises for a small business as they can often be offset against tax, and if you are VAT registered you may be able to reclaim the VAT on the purchase price - speak to your accountant for more information on the tax and VAT benefits. A growing trend in garden office design is to include extra rooms and kitchen, toilet and shower room facilities, thus creating truly self-contained units. This not only extends the options for a growing business as it offers room to expand but if you employ staff it means they don't have to use the facilities in your house. This creates a clear distinction between work and home space. 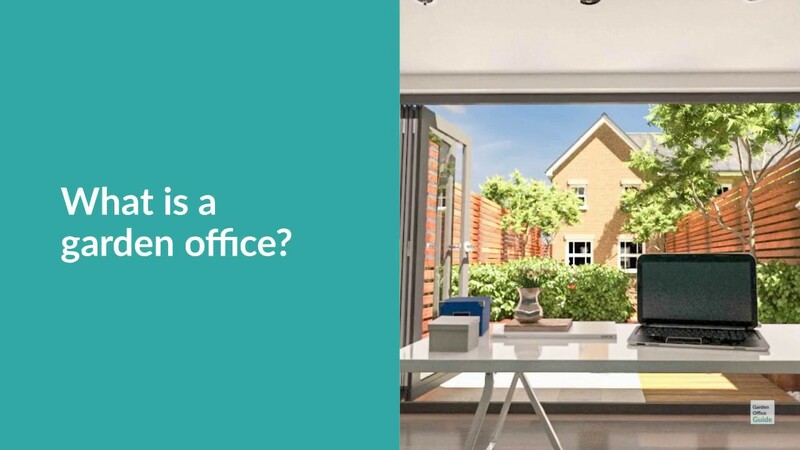 The flexibility of extra rooms and facilities like toilets opens up the concept of garden office space to occupations such as chiropractors, dentists and beauty therapists. With separate waiting and treatment spaces, you could easily set up a professional clinic environment in the garden. Many buyers add a toilet or shower room making the building self-contained. Not only is this practical today, but future-proofs the design, opening up the building to different uses in the future. Some buyers fear that a garden office like a summerhouse is just a space you use in the warm summer months, but this is not the case as garden offices are highly insulated and often sold with heating and cooling systems, so therefore comfortable for use all year round. Whilst garden offices are often referred to as 'posh sheds' they couldn't be further from a flimsy shed-like structure, they are actually built like houses using the same materials and building techniques. Garden offices are constructed using the same methods and materials as used in modern timber frame housebuilding. They are highly insulated structures, about as far from a garden shed as it is possible to get. Because you deal directly with the garden office manufacturer when buying you have a lot of control over the layout and finish of your building, in the Construction section of this website our experts will walk you through the options you have for the different elements of your building.